December is turning out to be the month of getting things done. I love it! 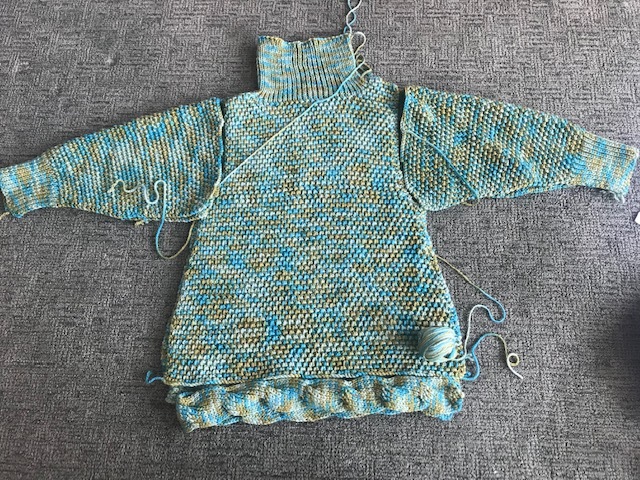 Quite a while ago, I began the sweater below. 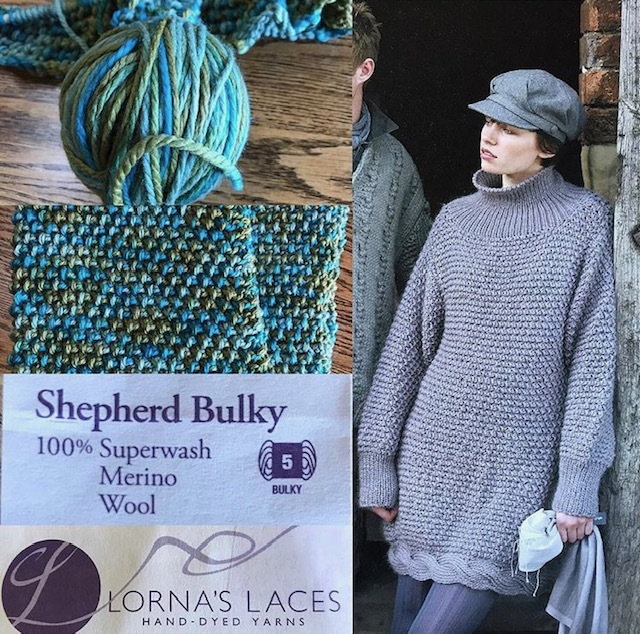 It's from a Rowan magazine, and it's a Martin Storey pattern. 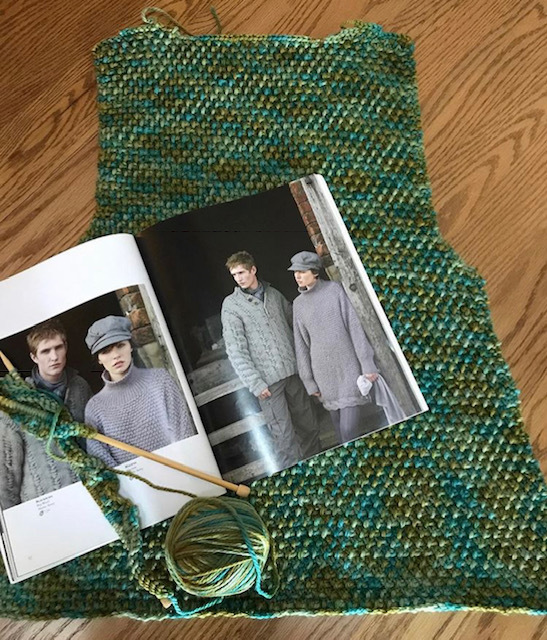 It appealed to me because I love anything with a cable, I loved the oversized aspect of the sweater, and too, I had yarn that would work. The sweater is basically together, all I have to do is a bit of steaming, and then sew the cable to the hem. 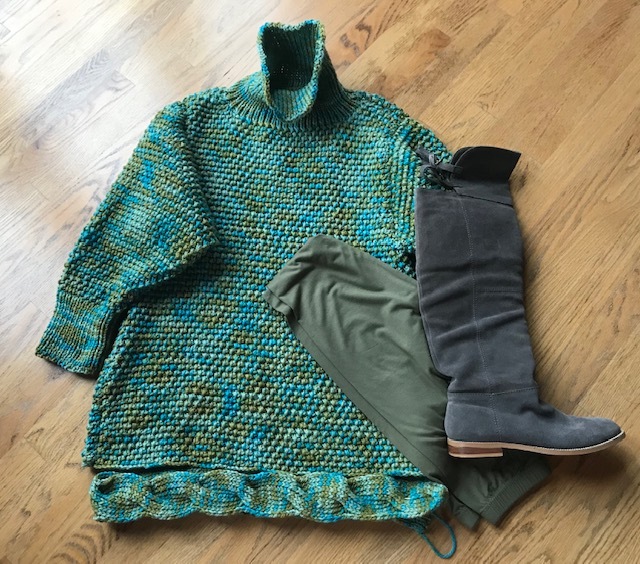 I have a pair of wool tights that I made using my own pattern, and a fabulous pair of over the knee boots. The boots look more gray in the picture. 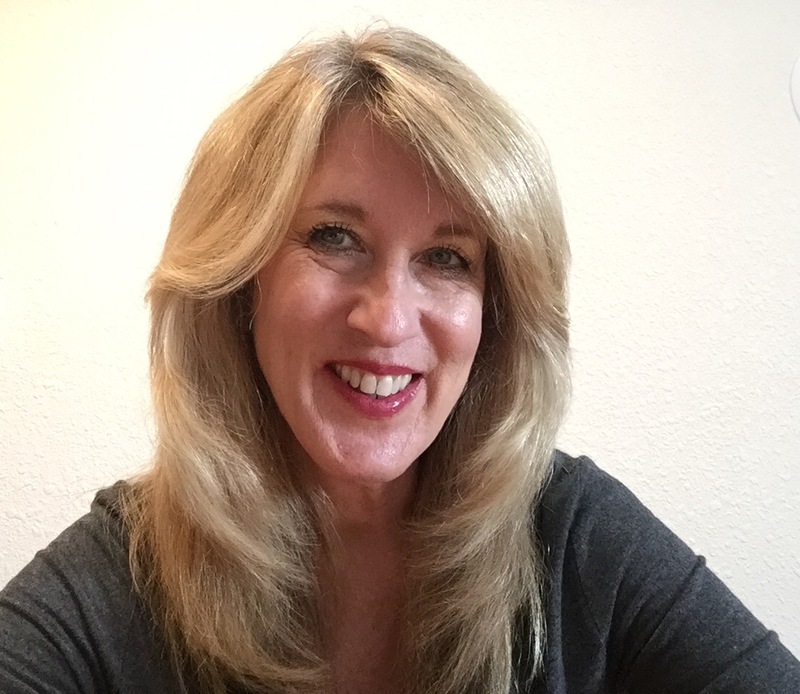 They are gray, but with a green undertone. I plan to get the piece finished up today, so pictures of me in the sweater will follow soon. 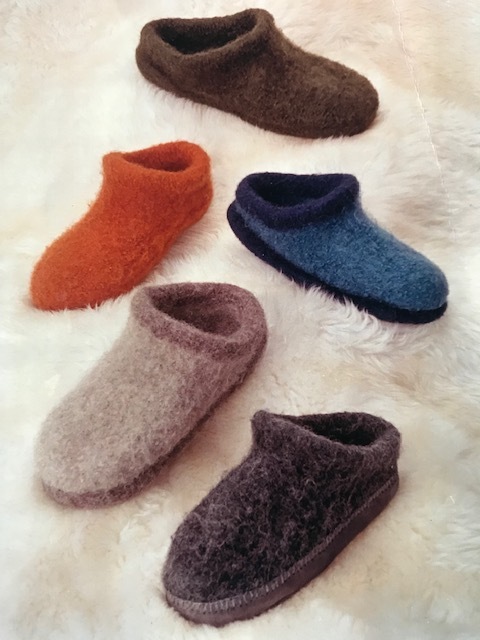 Quite a few years ago, I came across THIS pattern for knitted and felted clogs from Fiber Trends. 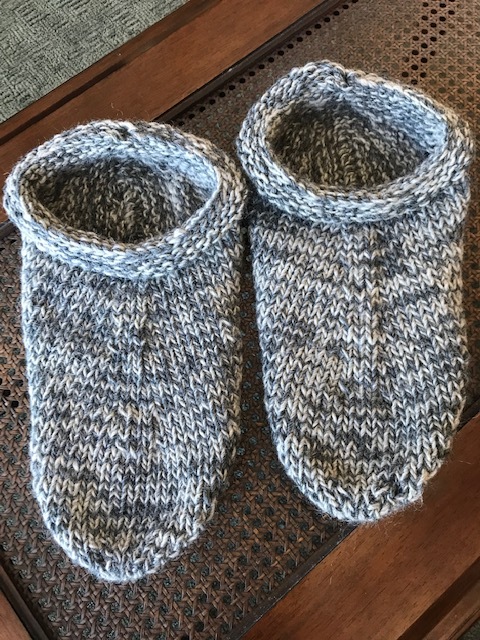 They are so easy to knit, so I ended up knitting a boat load of them as gifts for friends and family. They LOVED them!!! In fact, all have been worn completely out, and all have been asking for more. Even if you are a novice knitter, these are quite easy to make. They are huge once the knitting is completed. You will need access to a regular agitating washing machine. The slippers are put in and allowed to agitate in hot water. It takes about 45 minutes. 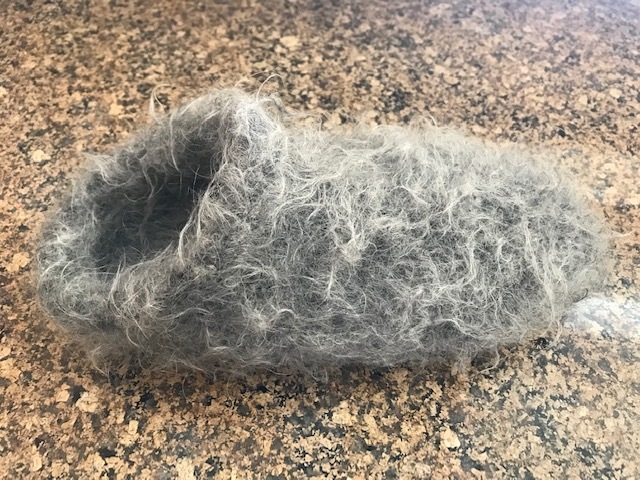 When they come out of the machine, they are fuzzy as you see below, but beautifully shaped. A bit of a hair cut, and the slippers look fabulous. Now to get them off my husband's feet so I can sew on the leather soles. The leather soles are a must if you have tile, or hardwood floors. The slippers can be, well, quite slippery! You can find the leather soles HERE. When I finally get a project completed that I have allowed to languish, I always wonder why I didn't get to it sooner. A question I have yet to figure out. Back in January of this year, I made a list of things I wanted to accomplish in 2018. While there are things I have not accomplished, I have been amazed with all that I have. The trick was to make attainable goals. I listed things as small tasks that would end up as big projects being accomplished. Last year, I read the book, Write It Down, Make it Happen. It has had a profound affect on me. I highly recommend it to anyone who has dreams and goals that they would like to achieve, and yet has a difficult time making it all happen. Have a wonderful day, and I hope it includes getting something done that will make you feel fabulous! 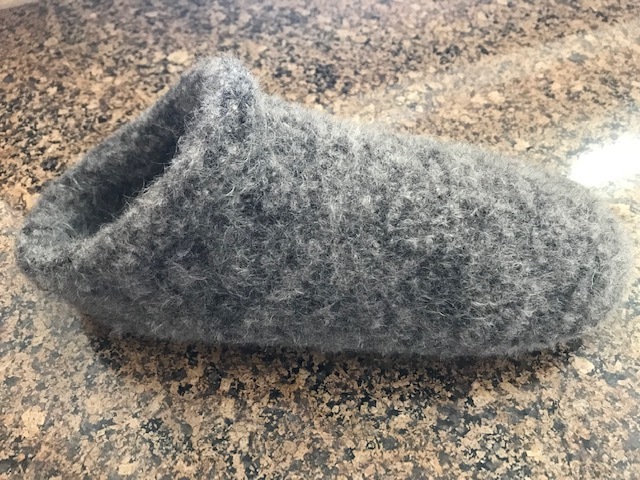 Love those slipper Rhonda! Just ordered a pattern for a couple of Christmas gifts. 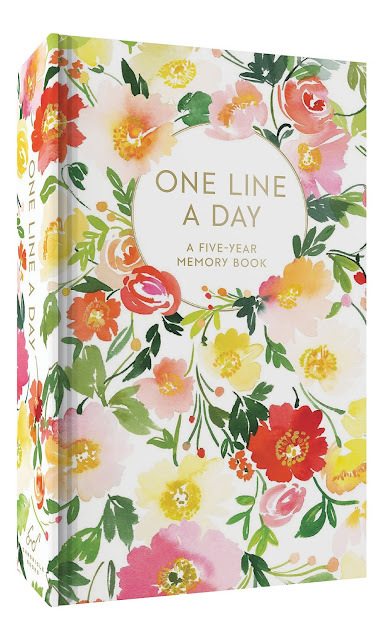 I also ordered a One Line A Day journal for each of my granddaughters and their mother. Thanks for the Christmas gift ideas. Hope all is well. I also love that book -- writing things down is magical! And your knitting is so lovely -- that is one skill that I just can't get. Love to see what everyone else makes!